Have I not mentioned my love for this shade of lipstick by MAC? It's named Sweet & Sour and you can see it in all of it's glory from these swatches here. I know it is Autumn and that is screaming the dark shades to make an appearance but part of me is still stuck in the Summer - but let's be honest that really wasn't long ago so I think that's why I'm having a hard time adjusting. But despite all of that, it is a cremesheen finish which is my favourite due to it being easy to apply and moisturising to the lips. 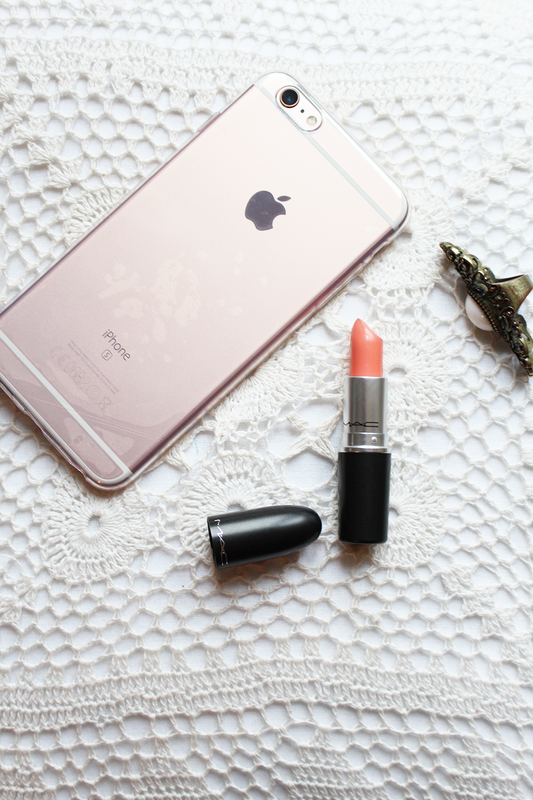 As for the colour, it is a gorgeous pale peach which looks amazing with a bronzed up look and a neutral smokey eye! So for all of you girls and guys out there who are still missing those summer vibes or just looking for a perfect peach tone then Sweet & Sour is the key to your heart. 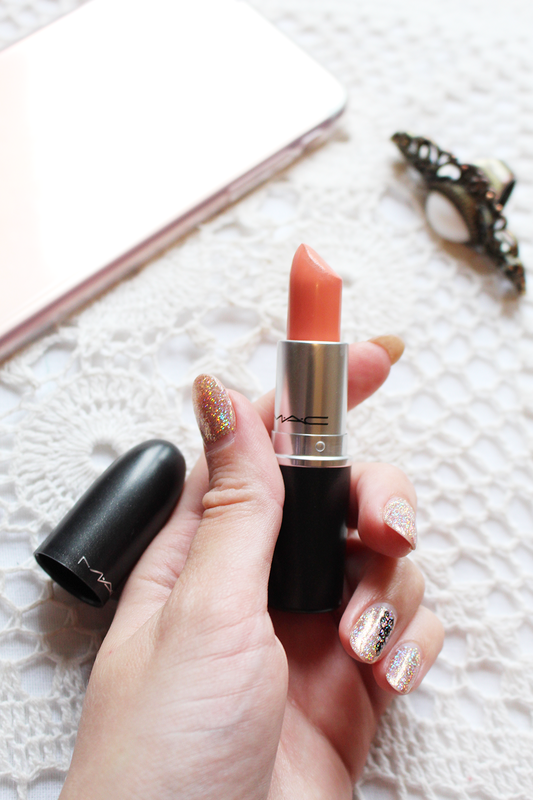 Have you tried this shade by Mac? What are your thoughts? what a lush colour!! i've been on the market for a bright lipstick lately, gonna have to get my swatch on!